East Coast states have made it clear: No drilling off our coast. With the exception of Maine and Georgia, every governor from Florida to New Hampshire has publicly denounced the current administration’s proposal to allow offshore oil and gas exploration, development, and production in the U.S. Atlantic Exclusive Economic Zone—the area within 200 miles of the U.S. coastline. Yet on Friday, November 30, 2018, the National Oceanic and Atmospheric Administration (NOAA) gave the green light for the Bureau of Ocean Energy Management to launch a series of seismic surveys by private companies along the Atlantic coast. These surveys use extremely loud seismic airgun blasts to map the seafloor and are the first step to finding oil and gas deposits. Seismic surveys—and the subsequent offshore oil and gas production they make possible—will negatively impact commercial fisheries, marine ecosystems, and some of the region’s most endangered dolphins, whales, and turtles. 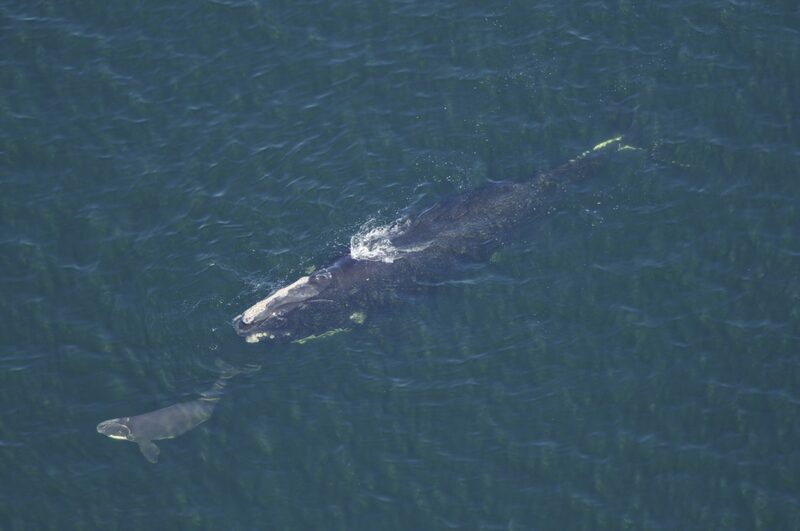 A right whale and her calf off the coast of Florida in 2010. 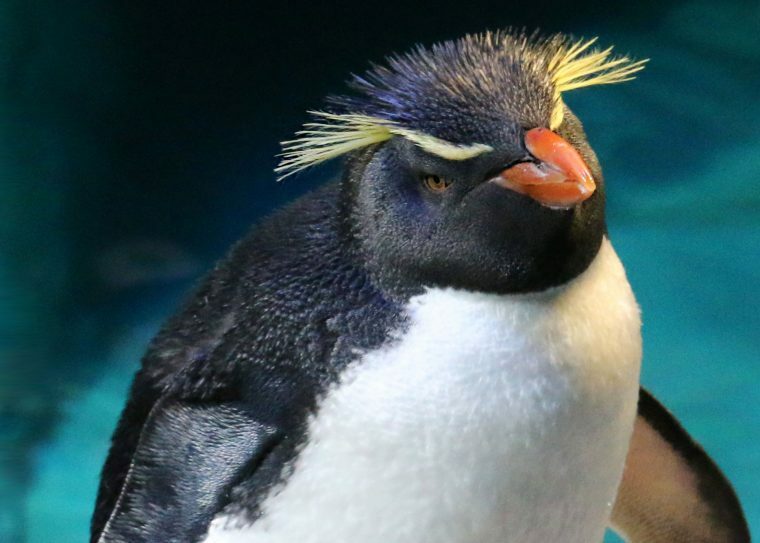 Photo credit: Suzie Hanlan, Anderson Cabot Center for Ocean Life at the New England Aquarium. NOAA Permit #14233. NOAA Fisheries, which was in charge of determining whether the seismic surveys violate the Marine Mammal Protection Act, authorized “incidental harassment authorizations” for five companies. These incidental take permits mean companies can “incidentally, but not intentionally, harass marine animals.” The industry claims that the seismic surveys will have “no measurable impact on fish or marine mammal populations,” but evidence says otherwise. Dozens of scientific papers show that seismic exploration is detrimental to ocean life from the bottom to the top of the food web. Seismic airgun noise travels more than 1,500 miles underwater. Scientific studies show that when seismic surveys happen, fewer fish are caught, more zooplankton die, and marine mammals struggle to flourish. Seismic airguns negatively impact everything around them and haven’t been used in the North Atlantic since the 1980s to search for commercial quantities of oil and gas. As the nation’s aquariums it’s our duty to speak up in defense of our oceans. Now is not the time to move backward. 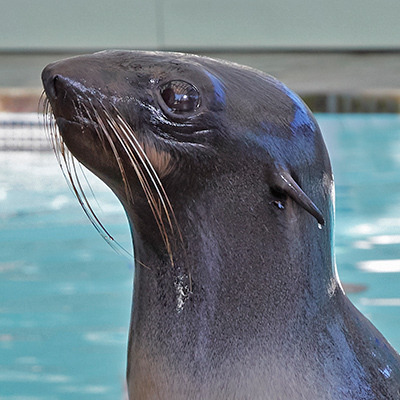 For these reasons, we at the New England Aquarium have joined the Mystic Aquarium, National Aquarium, New York Aquarium and its parent company the Wildlife Conservation Society, North Carolina Aquariums, and the Virginia Aquarium & Marine Science Center to strongly oppose the administration’s actions along the Atlantic seaboard. 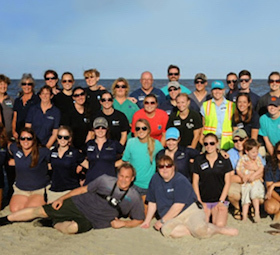 We stand with the 300 municipalities and 2,000 local officials who have formally opposed offshore drilling and we urge the Administration to deny permits for these activities and remove new offshore areas in the U.S. from the 2019-2024 National Outer Continental Shelf Oil and Gas Leasing Program. 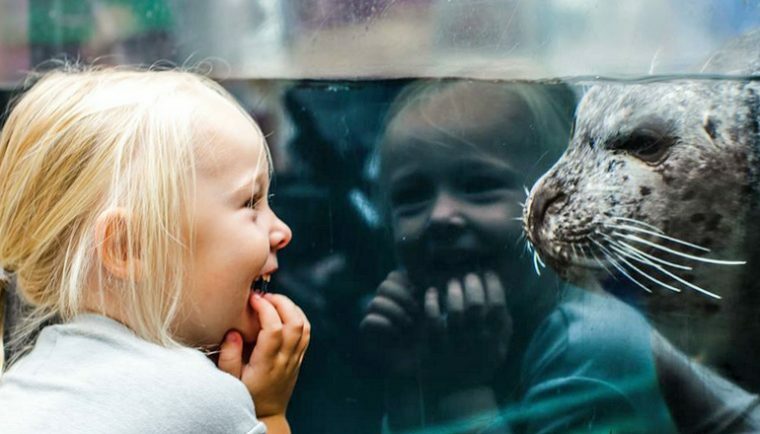 Public aquariums have spent generations teaching Americans about the importance of the oceans. They are particularly vulnerable now, and we call on the public to reach out to their government officials to oppose oil and gas exploration along our Atlantic coast. 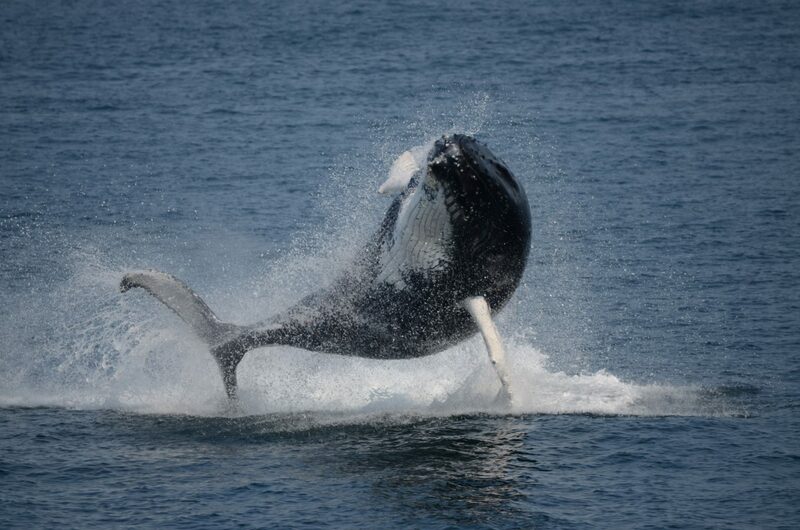 A humpback whale breaches. Photo credit: Laura Howes, Boston Harbor Cruises. Companies use seismic surveys to determine the location and size of possible oil and gas reservoirs beneath the seabed floor. A seismic vessel tows an airgun array that generates controlled explosions every seven to 10 seconds while traveling back and forth across vast sections of ocean. Imagine trying to sleep, eat, or talk with your family if someone is setting off grenades outside your house every 10 seconds for months on end. Marine mammals live in an almost entirely acoustic world. They rely on sound to communicate, find food, and even mate. The explosions from seismic airgun blasts are 200 to 260 decibels in water—the equivalent of 140 to 200 decibels in air. To put that in context, a loud rock concert is about 120 decibels and a jet engine at 100 feet is about 140 decibels. In other words, a jet engine is as quiet as it ever gets for animals subject to seismic blasting. With no more than 411 individuals alive today, the endangered North Atlantic right whale has already been pushed to the brink by human activities. Despite 40 years of federal protections, the right whale population is declining rapidly due to entanglements in fishing gear, vessel strikes, underwater noise, and other chronic stressors. NOAA says it will limit seismic blasts from November to April in regions of the Atlantic where right whales are known to migrate and, if whales are in the vicinity, blasts will not be allowed within 56 miles of an endangered animal. But seismic noise travels hundreds of miles underwater. NOAA’s proposed mitigation strategy is not enough. 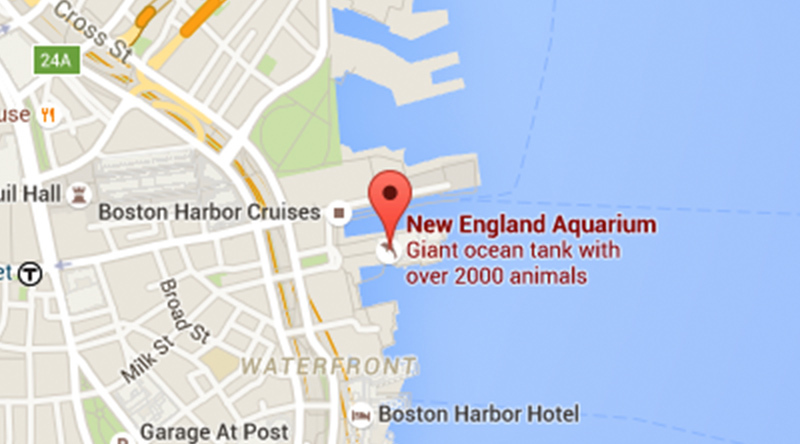 And it’s not just the right whales. Seismic exploration has been shown to reduce singing in humpback whales, displace finback whales by hundreds of miles, and disrupt activities vital to foraging and reproduction over vast ocean areas. In the Pacific, recent seismic noise has been linked to significant reductions in calf survival in western Pacific gray whales—another endangered baleen whale. With five different applications approved for seismic exploration off the East Coast, these surveys are loud enough to impact every aspect of the marine ecosystem. A recent study shows that seismic surveys cause significant mortality events in zooplankton, the tiny animals that form the foundation of a healthy and productive ocean ecosystem. Zooplankton decline by 64 percent within three-quarters of a mile (4,000 feet) of seismic blasts. Because seismic surveys will take many months to complete and involve multiple vessels over the same area, there is the potential for widespread damage to ocean productivity. That’s not just bad news for zooplankton and the animals that eat them, but the humans that rely on healthy ecosystems for their livelihoods and their food. When seismic surveys happen, fewer fish are caught. Studies showed that in regions near seismic surveys, landings dropped 40 to 80 percent in key economic fish species, including haddock, rockfish, herring, and blue whiting. National Caucus of Environmental Legislators. “State Legislative Responses to Off-Shore Drilling Proposal.” March 2018. (Accessed November 2018). Blackwell SB, et al. 2015. Effects of airgun sounds on bowhead whale calling rates: Evidence for two behavioral thresholds. PLoS ONE, 10(6), e0125720. doi.org/10.1371/journal.pone.0125720. Booman, C., et al. 1996. Effects from airgun shooting on eggs, larvae, and fry. Experiments at the Institute of Marine Research and Zoological Laboratorium, University of Bergen. (In Norwegian. English summary and figure legends). Fisken og havet No. 3. 83 pp. Hassel, A., et al. 2004. Influence of seismic shooting on the lesser sandeel (Ammodytes marinus). ICES J. Mar. Sci. 61: 1165–1173. doi.org/10.1016/j.icesjms.2004.07.008. Santulli, A., et al. 1999. Biochemical responses of European sea bass (Dicentrarchus labrax L.) to the stress induced by off shore experimental seismic prospecting. Mar. Pollut. Bull. 38: 1105–1114. doi.org/10.1016/S0025-326X(99)00136-8.